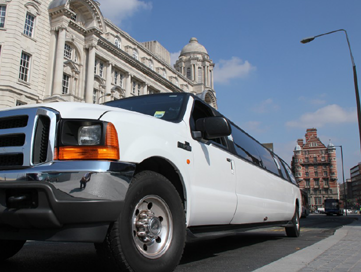 Limousine Hire Liverpool are the finest luxury limo hire firm in Merseyside. Our limos are of the highest specifications in limousines and corporate vehicles and we offer you the very best in customer service and attention to detail. We are proud of our reputation for quality limo hire in Liverpool and Merseyside, which is second to none, this isn’t just because of our luxurious limousines, but our expertise, knowledge and experience in making your occasion that extra bit special. We will make it an extraordinary day to remember. All our limos are very well maintained, fully licensed are very clean and tidy, they are always up to date and are always accompanied by our certified, professional and smartly attired chauffeurs. Our aim is for our clients to have a truly, memorable and enjoyable experience, they will be guaranteed a friendly and professional service at all times. We give our clients respect and the best attention at all times and treat all our clients as V.I.P from start to finish. Limousine Hire Liverpool cover all areas including, Liverpool, Southport, Widnes, Runcorn, Warrington, Manchester, Stockport, Chester, St. Helens, and we’ve even been known to travel to Wales, we cover all the North West. No job or special request is ever to much trouble, we can always accommodate and cover most requests no matter how big, small or even strange the request maybe, so what ever the celebration, what ever the reason to be celebrating may be and where ever the occasion maybe, we are always here to help or advise, just give us a call or send us an email from our booking form on this very page, even if you require a quote or ask for any ideas our experienced staff may offer some suggestions and are always happy to help.